Ryan‘s HSPU clinic is JUST 2 DAYS AWAY! 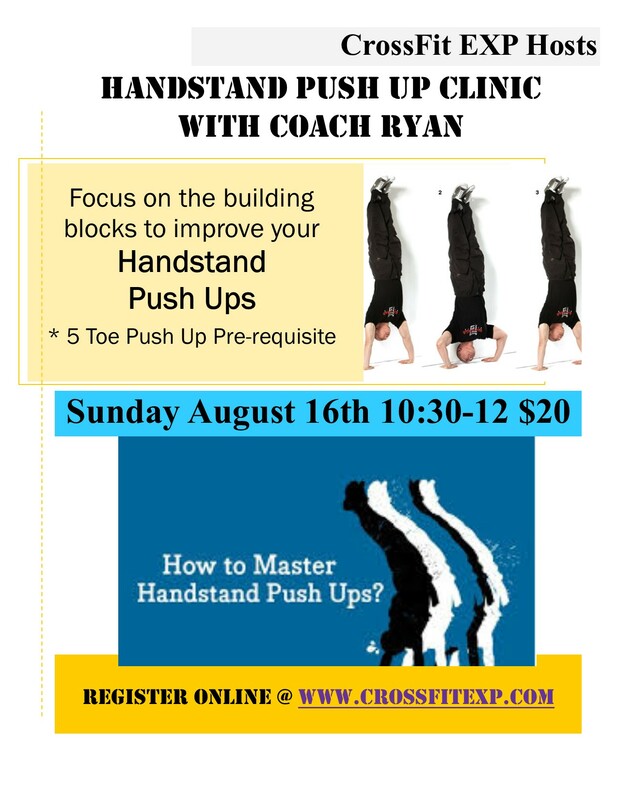 THIS Sunday 8/16 from 10:30-12 at CrossFit EXP! He will be teaching the skills to master the HSPU! Re-requisite of 5 toe push-ups. Buy-Out: 4 x 15 Physio ball (PB) leg curls, 30 sec hang between each set.